If you're looking for style, convenience, and elegance in a crossover utility vehicle Lincoln has pulled out all the stops to bring you the all-new 2015 Lincoln MKC. Offering either a 2.0 or 2.3 liter EcoBoost® Engine, the 2015 Lincoln MKC brings power equivalent to the V8’s of a decade ago – minus the pain at the pump. If you like to control the shifting our six speed SelectShift® automatic transmission with paddle shifting is right up your alley. Electric Power-Assisted steering and AdvancTrac® with roll stability control also come standard. Do you have a smartphone? How about a smart car? Available active park assist is one of several technologies that assist the driver available in the Lincoln MKC. Active park assist features ultrasonic sensors to help you Parallel Park like a pro. Just press the button and the sensors will automatically help you find your parking space. Active park assist handles the steering while you control the gas, brake, and gearshift. Easy and amazing! Like what you see? 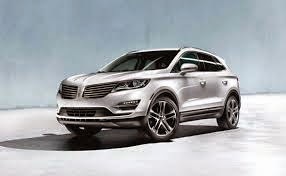 Wait till you get behind the wheel of your Lincoln MKC. The professional staff at the Olympia Auto Mall stand ready to answer your questions and help you find the MKC that fits you. Whether you are searching for a new our used cars in Tacoma, you’re sure to find what you’re looking for at the Olympia Auto Mall.